Park and enter from the south side. Scott McNealy is an outspoken advocate for personal liberty, small government, and free-market competition. In 1982, he co-Founded Sun Microsystems and served as CEO and Chairman of the Board for 22 years. He piloted the company from startup to legendary Silicon Valley giant in computing infrastructure, network computing, and open source software. Today McNealy is heavily involved in advisory roles for companies that range from startup stage to large corporations, including Curriki and Wayin. Curriki (curriculum + wiki) is an independent 501(c)(3) organization working toward eliminating the education divide by providing free K-12 curricula and collaboration tools through an open-source platform. Wayin, the Digital Campaign CMS platform enables marketers and agencies to deliver authentic interactive campaign experiences across all digital properties including web, social, mobile and partner channels. Wayin services more than 300 brands across 80 countries and 10 industries. 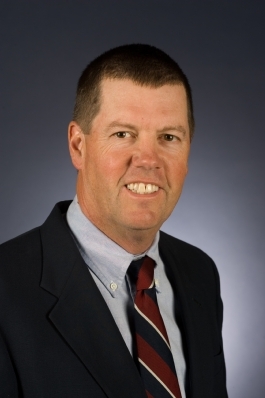 Scott McNealy is an enthusiastic ice hockey fan, and an avid golfer with a single digit handicap. He resides in California with his wife, Susan, and they have 4 sons. No cost for NWA Tech Council Members. Guests may attend 1 meeting at no charge. Registration is required.